1st Thursday of every month at 2.00 pm. We are a friendly group of women from in and around Buxted. We currently have 50 members. Visitors are always welcome to our village WI which aims to provide a balance between its more traditional past and the interests of our current members. We are a lively, enthusiastic group and meetings are relatively informal with the tea interval providing an opportunity to chat with friends. 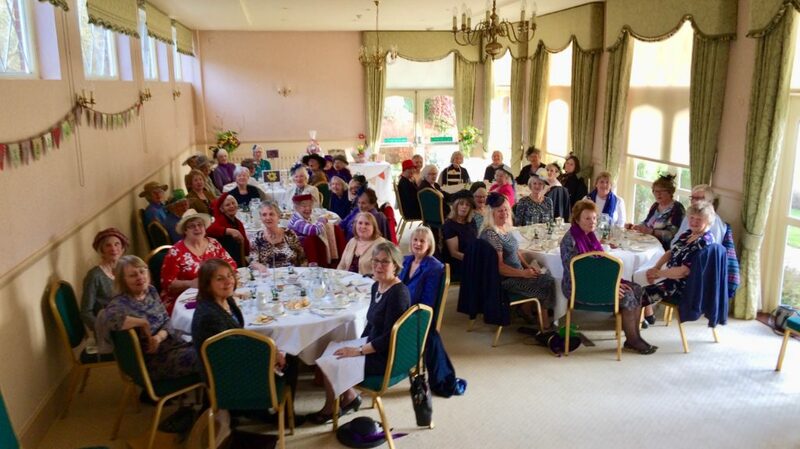 We celebrated our Centenary in March 2018 with a special Afternoon Tea in the beautiful surroundings of Horsted Place. At our monthly meetings we have a speaker or do our own programme which gives us more flexibility to organise our own entertainment with a new initiative which is an annual ‘Own Speaker’ meeting. This year a member will give us a Spring Flower Arranging demonstration and class. Last year one of our members told us about working in Romania behind the Iron Curtain. Recently we have enjoyed talks on wine tasting and what it takes to become a writer and have learnt about digital photography. We are looking forward to being shown hula-hooping and a taste of swing with the Victory Vs amongst other items on this year’s programme. We have a themed Competition monthly and our Flower of the Month Competition. We have a Book Group, a Craft Group and a Quilting Group which meet most months. Occasional workshops are organised. The Gardening Group meet monthly apart from during the winter and are often out and about visiting local places of interest. 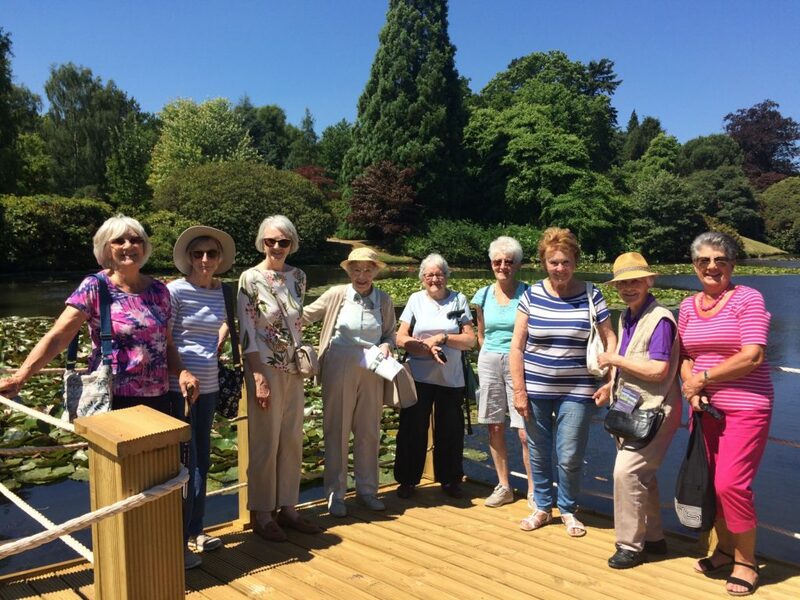 During 2018 they enjoyed the Waterlily Festival at Sheffield Park Gardens and a visit to Sarah Raven’s Cutting Garden in particular. We have an annual Skittles evening in a local pub which is always great fun and occasional Theatre visits. We are holding a summer picnic during August, weather permitting! Members are welcome to start up new groups and we are always open to new ideas. Last year our Centenary Raffle enabled us to give a donation to the Buxted Memory Moments Café. Events planned for 2019 include a Fashion Showcase in April to be held in collaboration with St Peter and St James Hospice as a fundraising exercise for our local Hospice. As part of the wider Uckfield Group we meet on an occasional basis and organise combined events. We are pleased that several new members have joined us over the past year and hope that our WI will carry on being an integral part of life in Buxted and the wider community as a whole. For further information please contact the Secretary at http://BuxtedWI@gmail.com.